Something similar worked Red Star fans, when their team plays important matches or without the presence of the audience. 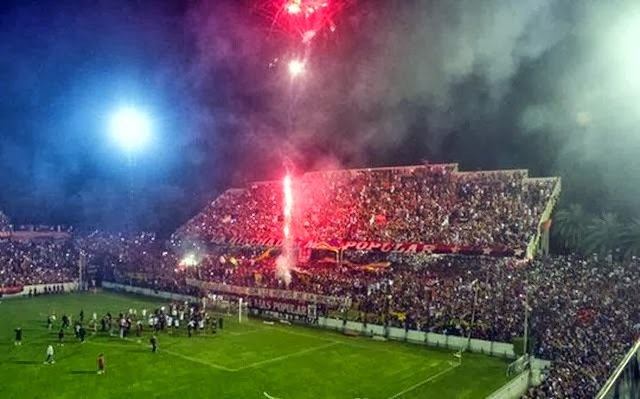 Forty thousand fans found at the stadium, "Marcelo Bielsa" two days before the derby match between their team and Rosario Central. They decided on such a move because of the murder of Lanus fans a few months ago, guests supporters is forbidden entry to the stadium.